Remember the Mint Julep candies you ate as a kid? Very nostalgic, and there's not a better description for this yummy scented soap! Goats' milk provides nutrients, fats, proteins & hormones that naturally benefit the skin. A heaping dose of spirulina powder adds the green color. 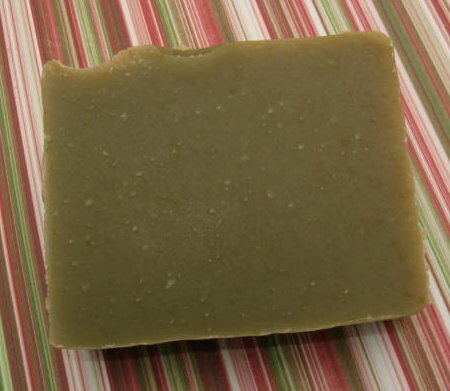 Ingredients: Saponified coconut, palm, olive, soybean, grapeseed, and castor oils. Goats' milk , spirulina powder; and spearmint essential oil.